Before Naruto there was Astro Boy. Before Akira Toriyama there was Osamu Tezuka. Tezuka is a legend in the world of anime and manga, often referred to as "the grandfather of manga and anime." 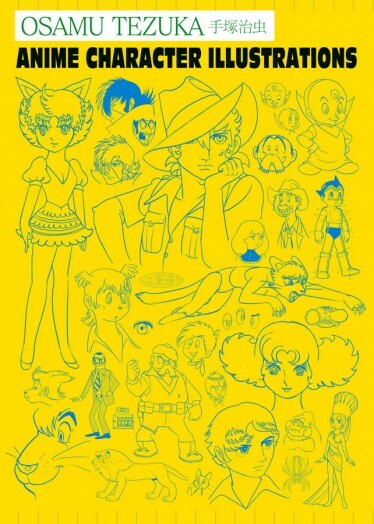 UDON Entertainment isn't one to let such a revered man go by unnoticed and is celebrating his life's work with the release of two Tezuka art books: Osamu Tezuka: Anime Character Illustrations and Osama Tezuka: Anime and Manga Character Sketchbook. Both of these prestigious volumes are presented in an elegant hardcover format worthy of the man whose work they celebrate. Inside readers will find a diverse collection of character designs and rough concepts from animation and manga projects representing Tezuka’s entire illustrious career, including Mighty Atom (Astro Boy), Jungle Emperor (Kimba the White Lion), Phoenix, Black Jack and many more. In many cases these illustrations include Tezuka’s own hand-written design notes, accompanied by translations through footnotes. Both books also feature an illuminating afterword by Tezuka Productions’ Chief Archivist Haruji Mori. Each volume should be available now. Full press release below. Toronto, ON – DEC 28, 2015 – Long considered “the grandfather of manga and anime”, legendary illustrator and animator Osamu Tezuka’s enduring legacy can still be felt today in the indelible influence he has had on contemporary manga and anime creators. 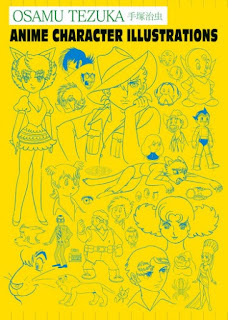 In an effort to ensure that his timeless work remains easily accessible to as wide an audience as possible, UDON Entertainment is proud to announce the release of two Osamu Tezuka art books: OSAMU TEZUKA: ANIME CHARACTER ILLUSTRATIONS and OSAMU TEZUKA: ANIME & MANGA CHARACTER SKETCHBOOK. Both of these prestigious volumes are presented in an elegant hardcover format worthy of the man whose work they celebrate. Inside you’ll find a diverse collection of character designs and rough concepts from animation and manga projects representing Tezuka’s entire illustrious career, including Mighty Atom (Astro Boy), Jungle Emperor (Kimba the White Lion), Phoenix, Black Jack, and many more. In many cases these illustrations include Tezuka’s own hand-written design notes, accompanied by translations through footnotes. Further cementing these volumes as must-own items for any fan of Tezuka’s work and of animation and manga in general, both books also feature an illuminating afterword by Tezuka Productions’ Chief Archivist Haruji Mori. Finally, most of the material in OSAMU TEZUKA: ANIME & MANGA CHARACTER SKETCHBOOK has never been publicly available – until now, that is – and UDON Entertainment is both humbled and thrilled to be able to bring this exclusive content to Tezuka fans for the first time. OSAMU TEZUKA: ANIME CHARACTER ILLUSTRATIONS and OSAMU TEZUKA: ANIME & MANGA CHARACTER SKETCHBOOK are both available now and can be purchased in finer bookstores and online retailers. Media inquiries and/or requests for review copies should be directed to Jenny Myung at press@udonentertainment.com. UDON’s creative services division is dedicated to providing high-quality artwork to the entertainment industry in the form of sequential art, character designs, packaging artwork, style guides, illustration, and graphic design. Our clients include Marvel Comics, DC Comics, Capcom, Nintendo, Disney, Legendary Pictures, Warner Brothers, Mattel, Hasbro, and many other partners in the fields of film, television, comic books, toys, and video games.